Join us on Wed., May 18 at 6:30 p.m. in the Main Campus Theater for an evening focused on Octavia’s Brood, this year’s campus Community Read book. 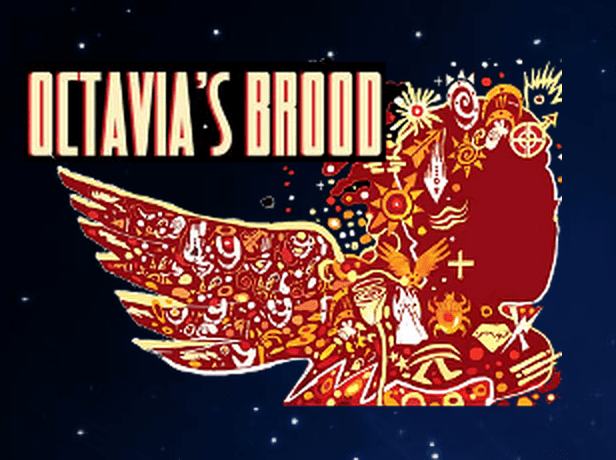 Octavia’s Brood is an anthology of science fiction stories from social justice movements co-edited by Walidah Imarisha and adrienne maree brown. Join the editors and contributing writer, Gabriel Teodros, in a conversation around radical science fiction and organizing. All students, staff, and community members are welcome to engage in this FREE event. Tell students about the Visionary Science Fiction Writing contest! The English Department, in association with student government, is sponsoring a writing contest inspired by Octavia’s Brood, our Community Read book this year. Open to Shoreline Community College students, we’re soliciting submissions of stories in the genre of visionary science fiction. There will be prizes in two categories—short-short story (300-900 words) and short story (900-3,000 words). Please see the flyer above for more details, and tell your students! Campus events for March 9: Zika workshop, Community Read, and more! These are the events happening around campus for the week of March 7-11. BREATHE before Finals week events are listed separately here. Wed., March 9: 11:30 a.m. – 12:20 p.m. The World Health Organization declared a “public health emergency of international concern” on February 1 over the Zika virus and the health problems that doctors fear it is causing. Zika virus is spread to people through mosquito bites. Of particular concern are reports of pregnant women giving birth to babies with birth defects and poor pregnancy outcomes as a result of contracting the virus. The Centers for Disease Control (CDC) has issued travel notices for people traveling to regions and certain countries where Zika virus transmission is ongoing. • What is Zika virus and what do we know about it? • Is there a vaccine to prevent or medicine to treat Zika? • Why is contracting the Zika virus dangerous for pregnant women? • Will a woman’s future pregnancies be at risk? • Do we in the Pacific Northwest need to worry about Zika virus? Wed., March 9: 12:30-1:40 p.m.
Join us Wed., March 9 at 12:30 p.m. for our final meeting of the Community Read of Octavia’s Brood. This week we’ll be discussing the stories: Star Ware and the American Imagination, The Only Lasting Truth, Outro. Wed., March 9: 12:35-1:25 p.m.
Take time out from studying for finals to rejuvenate and build core strength. Free to students, faculty, and staff. Wed., March 9: 1-5 p.m. Wish our Phins Baseball team well as they take on Grays Harbor away. #GoPhins! Wed., March 9: 2-6 p.m. Wish our Phins Softball team well as they take on Green River away. #GoPhins!